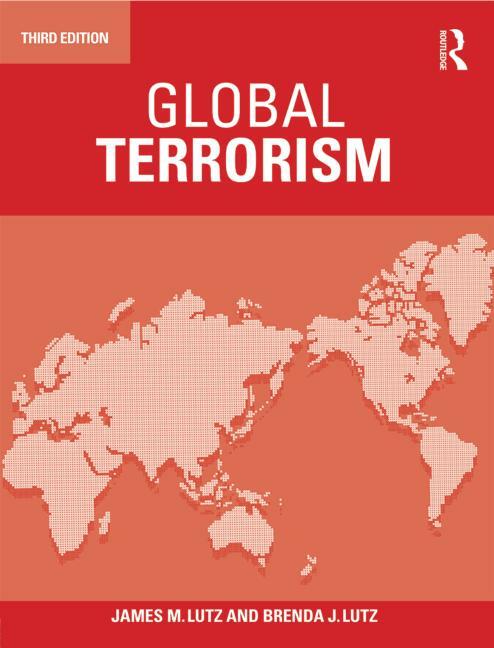 Global Terrorism 3rd edition continues to provide students with the most comprehensive introduction to terrorism as a global phenomenon. It introduces students to history, politics, ideologies and strategies of both contemporary and older terrorist groups. Written in a clear and accessible style, each chapter explains a different aspect of terrorism and illustrates this with a wide variety of detailed case studies from across the world. Although the focus is on the contemporary, the book also includes discussion of older terrorist groups. The unique combination of a genuinely historical focus and truly global coverage makes this an ideal introductory textbook for anyone studying terrorism. James M. Lutz is Professor of Political Science at Indiana University-Purdue University at Fort Wayne. He has long been interested in various types of political violence. Brenda J. Lutz holds a PhD in Politics from the Department of Politics, University of Dundee, Scotland. Her research has focused on terrorism and political violence and on factory farming and the animal rights movement.